1. 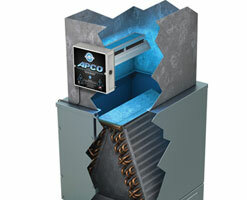 The APCO™ unit is installed in your air duct system of your central air handler. 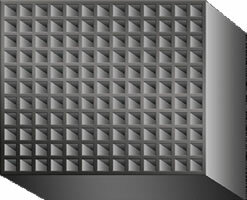 As odors and chemical contaminates circulate through your air handling system, the APCO™ unit utilizes a highly absorptive carbon monolithic media which captures these contaminates, removing them from the air stream, much like a sponge absorbs water. 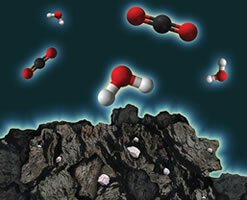 3.The toxic molecules are broken down into simple water vapor and CO2. During the off cycles of the air handling system, the APCO’s self-regenerating photo-catalytic process breaks down the captured contaminates and frees up the carbon monolithic cell to be able to capture additional airborne VOCs and odors. 4. UV light limits the spread of biocontaminants like mold & viruses. In addition to the APCO™ system’s ability to absorb airborne VOCs, the UV light helps to maintain the cleanliness of your air handling system by shining on the ductwork, cooling coils, heat strips and blowers that are prone to supporting biological growth that can contaminate and clog the system. In a process called off-gassing, many modern manufactured items like furniture and carpet give off toxic VOCs like formaldehyde and benzene. 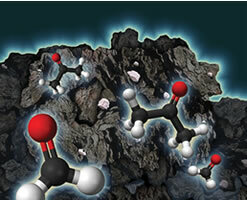 APCO™ transforms VOCs into harmless water vapor and CO2. 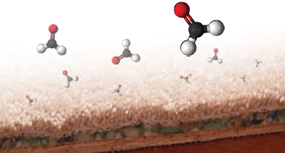 Recent studies have shown that the level of invisible airborne organic chemical and odor contaminates in our indoor air is generally two to five times higher than the levels found outdoors. While some of these substances merely smell bad, others can be extremely harmful. These contaminates, known as Volatile Organic Compounds (VOCs) are carbon-based chemicals that easily evaporate at room temperature. The unique technology inside APCO helps to eliminate VOCs, making your home a safer and more pleasant place to live.